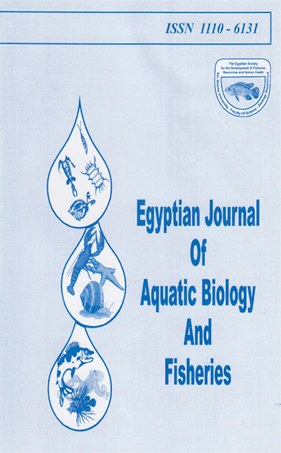 Miracidiophagic and cercariophagic activity of two fish species namely Gambusia affinis and Oreochromis niloticus and their possible role in controlling the infection of Biomphalaria alexandrina with Schistosoma mansoni mracidia were studied. The results showed that the infection rates of B. alexandrina exposed for about 3000 miracidia in presence of each fish species were significantly lower than the controls. There was an inverse relation between the number of O. niloticus and the infection rate of B. alexandrina. Conversily, in case of G. affinis, the rate of infection of B, alexandrina was increased by increasing the number of fish added to the same volume of water. The miracidiophagic activity of O. niloticus indicated that the average percentage of miracidia consumed by fish after 60 minutes exposure were 71.05 % and 78.2 % when fish were exposed to approximately 1500 and 3000 miracidia respectively. The cercariophagic activity of G. affinis and O. mlojicits showed that the reduction in the number of cercariae offered to each fish species were significantly higher than the controls. The consumption of cercariae by each fish species was greatly influenced by cercariae concentration; the higher the concentration, the more cercariae consumed by the fish.